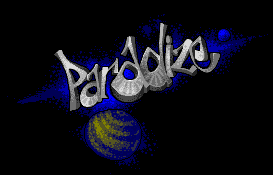 Paradize has its own forum at Atari-Forum.com. Visit http://www.atari-forum.com/, login and use the Paradize forum to talk to us. Anything Atari ST and Paradize related can be discussed. Ofcourse help and advice on all of our games is guaranteed as well as further announces and news on upcoming prods. STay friendly, STay cool, STay Atari /|\\!